Here’s a quick overview of some of the items the College Station City Council will be discussing at its workshop and regular meetings on Thursday, April 26. This blog is not a complete and official agenda. The council will consider approving $256,000 in hotel occupancy tax funds for the first phase of the wayfinding program implemented by the Bryan-College Station Convention and Visitors Bureau. In 2005, the BCSCVB and the cities of Bryan and College Station began developing a wayfinding program to provide an easy-to-follow signage system to help visitors find area attractions, facilities, districts and other destinations. The project was suspended due to cost and scope overruns. After Texas A&M announced its new alignment with the Southeastern Conference last fall, the project was resurrected in anticipation of thousands of new visitors and fans visiting the area in 2012. The council will receive an update on recent development activity in the Northgate area. The council will consider revising the naming policy for city facilities and sub-facilities to more accurately detail criteria and procedures. The council will consider a “Resolution Declaring Intention to Reimburse Certain Expenditures with Proceeds from Debt” for the $200,000 Dexter Drive Sidewalk project approved by voters in the 2008 bond election. The sidewalks will be along the west side of Dexter Drive from Park Place south to Winding Road. The resolution is necessary because the long-term debt won’t be issued until later this year. The council will consider a “Resolution Declaring Intention to Reimburse Certain Expenditures with Proceeds from Debt” for the $777,000 State Highway 30/Copperfield Signal and Intersection Modifications project approved by voters in the 2003 and 2008 bond elections. The debt will be issued later this year. The council will consider approving an Advanced Funding Agreement with the Texas Department of Transportation to powdercoat new signal poles at the University Drive-Copperfield Parkway intersection. TxDOT is developing plans to widen University Drive from Highway 6 to F.M. 158 from an existing 2-lane undivided highway to a 4-lane roadway with a raised median. The city’s estimated cost won’t exceed $4,000. The council will consider approving a contract for the sale of a home located on city property at 4214 Cripple Creek for $149,900. The house was built with $149,335 in HOME Investment Partnership Program grant funds in 2010. The U.S. Department of Housing and Urban Development requires that the property be sold to an individual, household, or family at or below 80 percent of the area’s median income. The council will consider renewing landscape maintenance contracts worth $508,434.22 to Green Teams ($266,629.22), Rainbow Gardens ($90,252), Landscape USA ($50,205), Roots ($12,240) and ProGreen ($81,728). The contracts also would add additional sites. The council will consider approving a design contract worth $204,000 with Jones & Carter, Inc., for the design of the East Side Sewer Service Project. More than $1.5 million is budgeted in the Wastewater Capital Improvement Projects Fund. The City of Bryan will reimburse the City of College Station for half the cost. The council will consider approving an inter-local agreement with Brazos County and the City of Bryan for the application and acceptance of a $55,643 grant from the U.S. Department of Justice. The Edward Byrne Memorial Justice Assistance Grant is the primary provider of federal criminal justice funding to state and local jurisdictions. The College Station Police Department plans to use its $13,745.35 in grant funds for local initiatives, technical assistance, training, equipment, supplies and information technology projects. 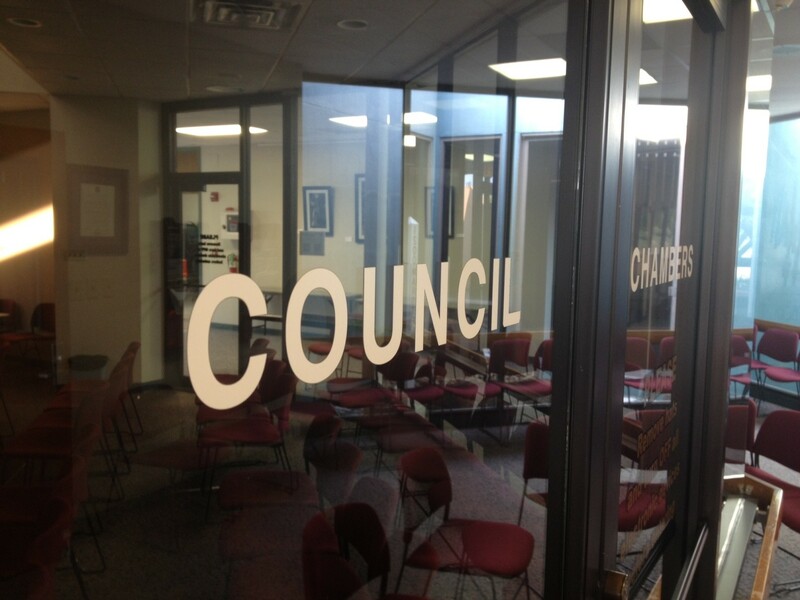 The council will consider amending the city’s mobile food vendor ordinance that was adopted in February 2011. The council will consider amending the city’s Unified Development Ordinance to allow sidewalk dining and entertainment. The council will consider authorizing the issuance and sale of up to $38 million in General Obligation Improvement and Refunding Bonds. The city can save more than $200,000 per year by refunding, or refinancing, some of its previous bonds from 2003, 2004 and 2005. City voters approved the improvement bonds in 2003 and 2008, and this ordinance would issue the remaining $440,000 from 2003 and $4 million from 2008 to provide for street and transportation projects, sidewalk improvements, hike and bike trails and parks and park facilities improvements. The city typically issues debt to fund various capital projects identified and approved as a part of the annual budget. The council will consider authorizing the issuance and sale of up to $17.3 million in Certificates of Obligation to provide for electric, water and wastewater improvements. This entry was posted on April 24, 2012 by City of College Station. It was filed under City Council, Public Communications and was tagged with bonds, budget, Council Meetings, landscape maintenance, Parks and Recreation, planning, Police, projects, rezoning, Traffic, traffic signals.